Had enough chocolate yet? I didn’t think so. And besides, it still feels like winter, so all the more reason to indulge and keep warm. But it can be so much better than fondant-filled Creme eggs or sugar-coated stale chocolate. In Saint Lucia, you can stay in the middle of a chocolate estate. Hotel Chocolat (clever thinking there) has a sweet little lodge on its working Rabot Estate. The Boucan boutique hotel is set on the chocolatier’s cocoa plantation, among the trees on the island’s south west coast. 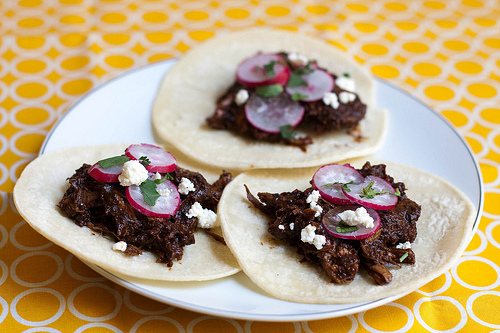 Rooms are, of course, decorated in rich chocolatey browns and cool white, while the restaurant specialises in cacao-based cuisine: citrus salad with white chocolate dressing, tuna with cacao pesto, cacao-nib chicken satay. But of course it was the Mexicans who first cultivated cocoa, perhaps as far back as 1900BC – evidence of chocolate drinking has been found in archaeological sites in Chiapas on the Pacific coast. 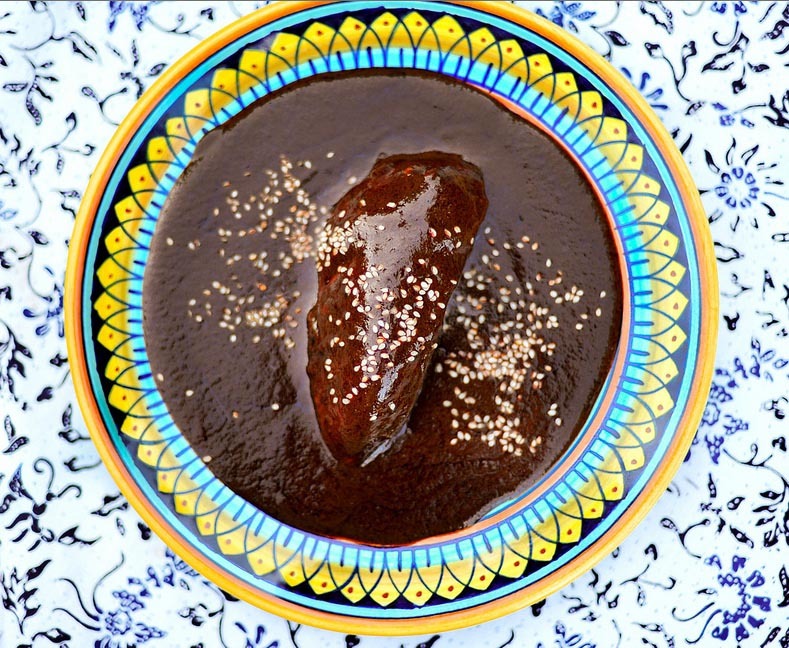 Today, you’ll still find chocolate lacing the cuisine, particularly in savoury dishes such as mole sauce. In Cebu province, the Philippines, Maria Cacao is a mountain goddess worshiped when the rains flood the rivers from Mount Lantoy. The fairy goddess is said to live in a cave on the mountain, protected by cacao trees and floods the river so that she can travel down by boat to export her crops. For here, tableya, unsweetened chocolate rounds, are a mainstay of the local economy. 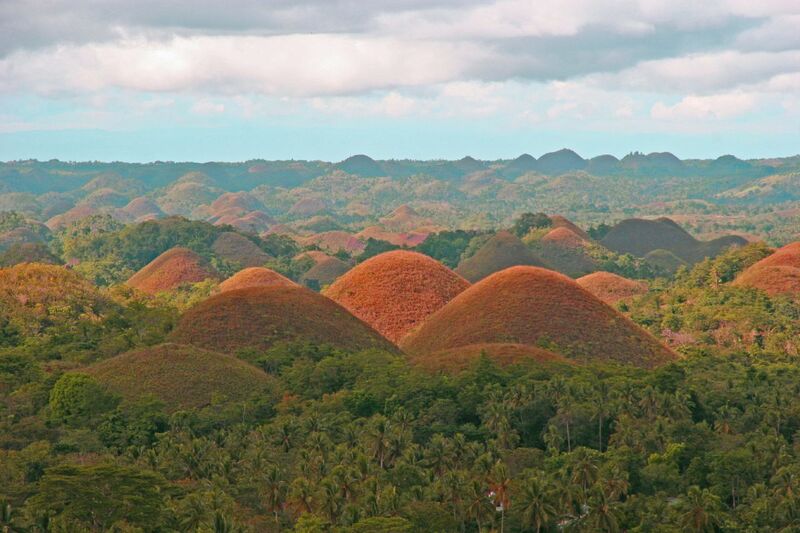 In the middle of the neighbouring island, Bohol, is the weird geological formation of the Chocolate Hills. These bizarre, conical hills are so named for the colour they turn during the dry season. There are as many legends as there are hills attributed to their formation, but today they’re popular as a tourist destination, with a hotel and restaurant. Of course, there are more obvious locations where you can satisfy your sweet tooth: Cadbury World near Birmingham, York’s Chocolate Story, Belgium, a chocolate-themed hotel in Bournemouth and no shortage of spas that offer chocolaty treatments (I’d much rather eat it than have it smeared on my face, personally). There’s even a chocolate museum-cafe that’s recently opened in Brixton and sells goodies made in Peckham and perhaps the world’s best hot chocolate (well, South London’s at least).